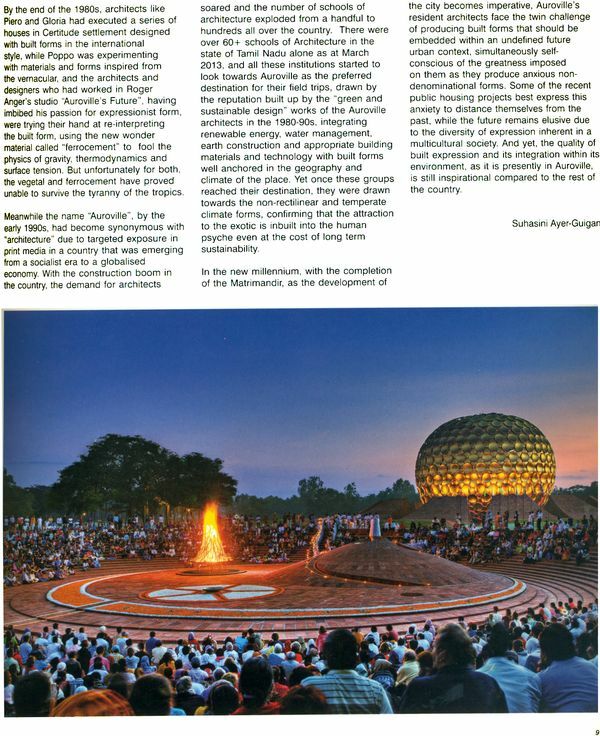 This book presents and explanatory introduction to the variety of architectural approaches taken since Auroville’s founding in 1968, white at the same time giving an opportunity to many of the township’s practicing architects to talk about their work their inspiration and future vision. 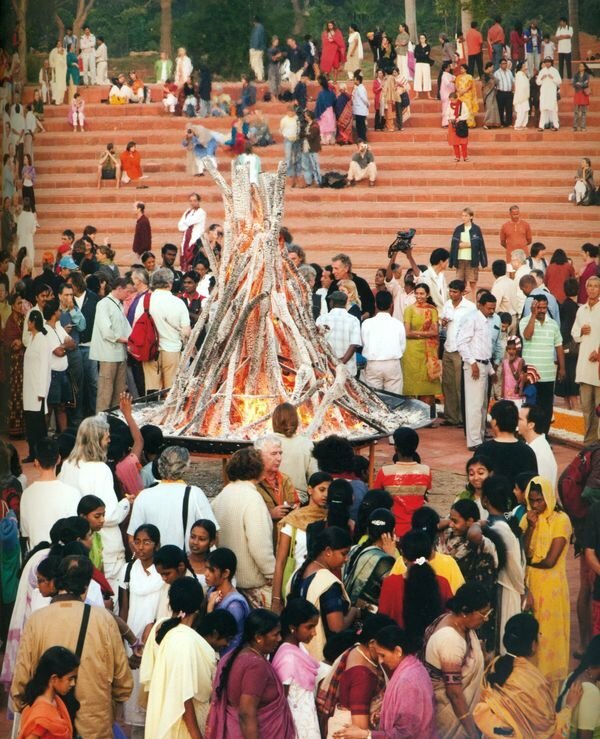 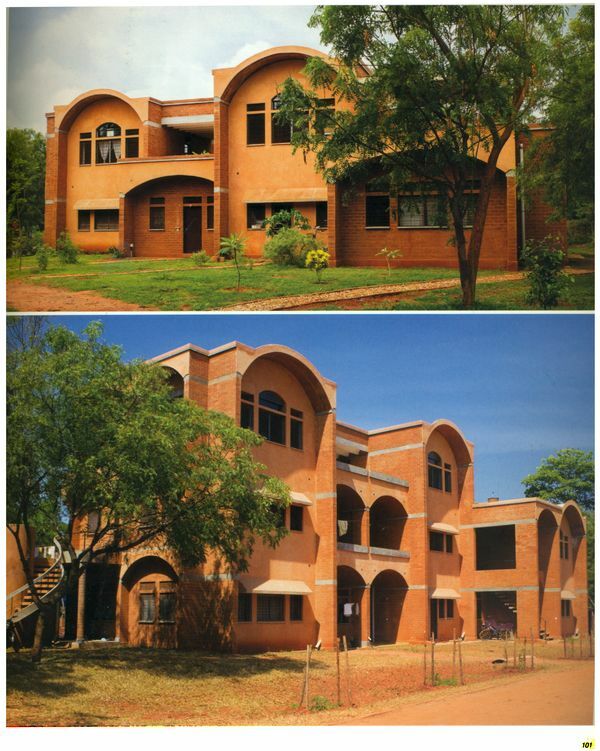 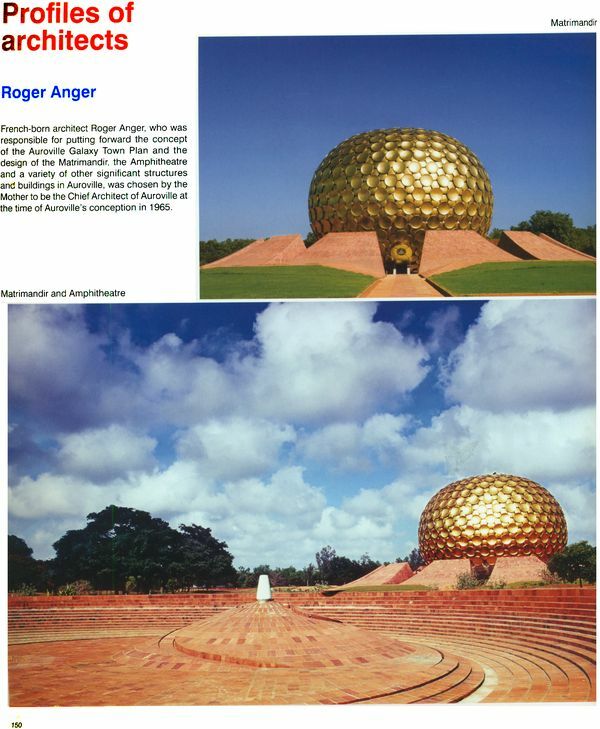 This book Presents an explanatory introduction to the variety of architectural approaches taken since auroville’s founding in 1968, while at the same time giving an opportunity to many of the township’s practicing architects to talk about their work, their inspiration and future vision. 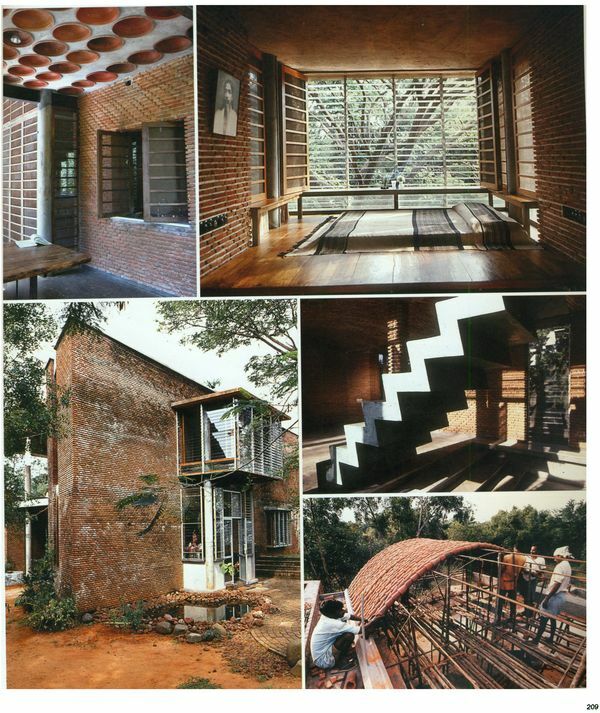 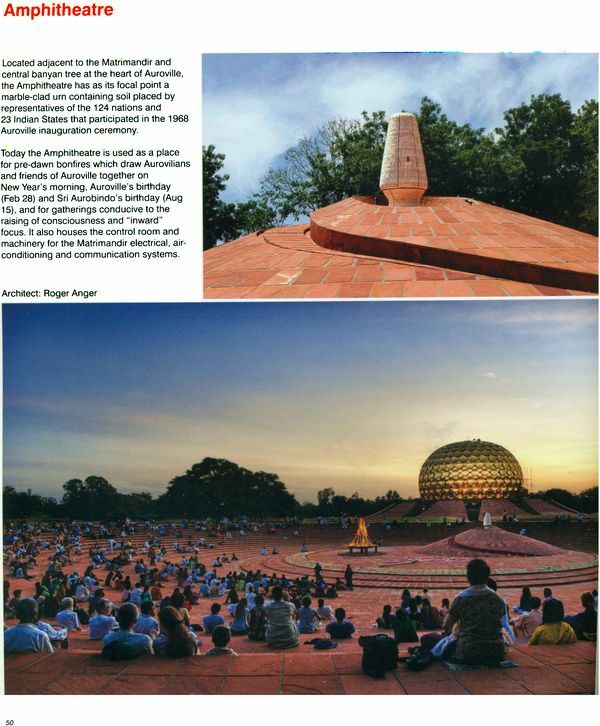 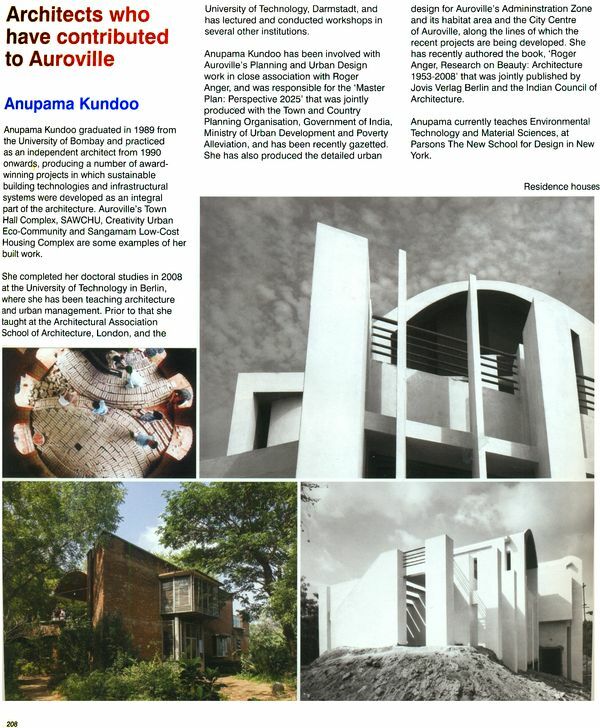 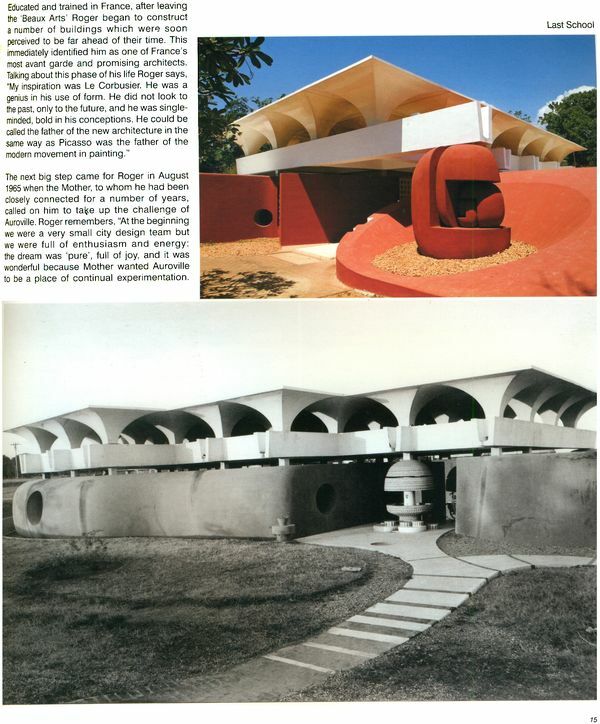 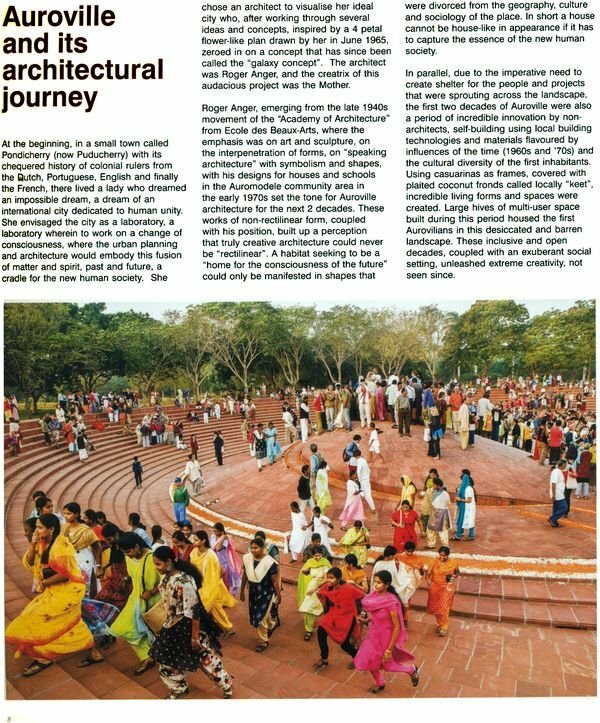 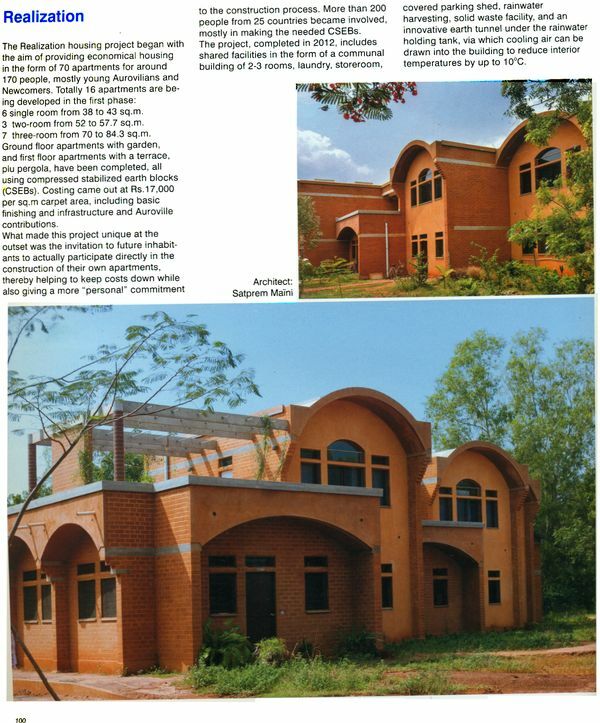 Although we hope the brochure acts as a source of inspiration and future to all those interested in architecture, both within India and abroad, It does not set out to presents any detailed analysis f Auroville architecture.